TI022A Superflare trumpets 3.9- 4.5L - ACT Performance Products - your source for after market TVR upgrades, components and performance accessories. ACT Performance Products – your source for after market TVR upgrades, components and performance accessories. These carbon fibre trumpets are suitable for applications where the standard porting is used, TVR 4.0, 4.3 & 4.5, they are supplied loose with adhesive and instructions. They are trimmed and easy to fit, If you prefer that we fit them in your base please call us to arrange. These trumpets taper from 48mm at the bellmouth to the standard 38mm at the base, they are 10mm shorter than standard, most applications will achieve around 10 bhp, with increased torque everywhere. These are designed to give maximum airflow through the 38mm bore manifold, the tappered shape is the key factor they can be shortened from trimming from the bottom but we don’t recommend this. 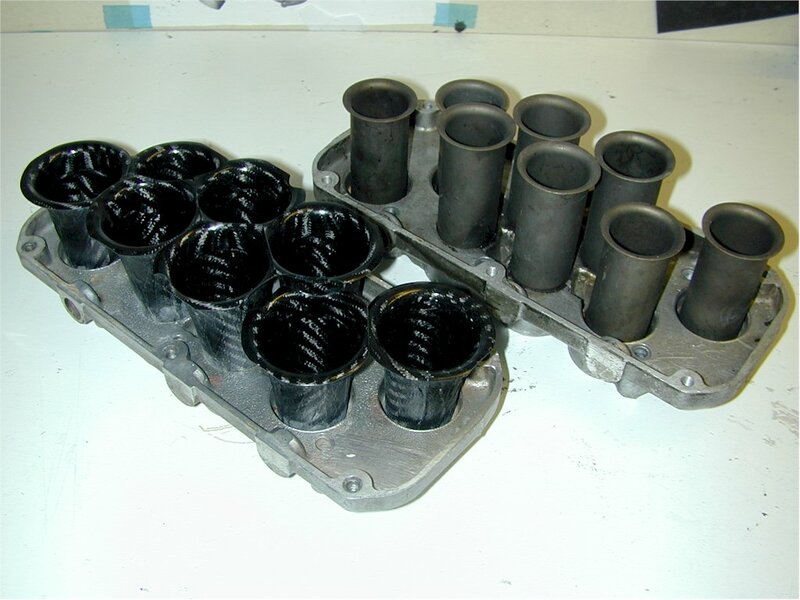 We have a huge amount of experience with producing trumpets from road cars to touring cars and Le Mans racers, these simply apply some of the benefits of development to the relatively old design of the rover intake system. ACT Performance Products – your source for after market TVR upgrades, components and performance accessories. © 2019. All Rights Reserved.